For your safety and peace of mind, always work with an asbestos certified contractor in Anaheim Hills CA like AQHI Inc.
Safety: We are dedicated to protecting the health and safety of our workers, your building occupants, and the environment as a whole. We make sure the work zone is properly sealed and ventilated, we train our employees to use techniques to minimize fiber release, and we always leave the area clean and asbestos-free after work. Compliance: As an asbestos certified contractor in Anaheim Hills CA, we conduct all our activities in compliance with relevant state and federal asbestos handling rules and regulations. We make it easy for commercial property owners to secure the documentation needed to prove the work was done properly and their property is safe for the public. Peace of Mind: We carry comprehensive liability insurance with specific asbestos pollution clauses as well as workers comp insurance to protect our clients from footing the bill for any possible accidents, however unlikely. Many property owners don’t realize there is a difference between an asbestos certified contractor in Anaheim Hills CA who is qualified to remove asbestos and one that is qualified to transport and dispose of asbestos. This can result in clients facing unexpected costs at the end of a project when they are suddenly told they need to hire a different contractor to remove bagged waste from their property. When you work with AQHI Inc., this won’t happen. We have all the certifications required to take asbestos out of a building and to a disposal facility and we include both services in our bid. Remember, if you have asbestos-containing materials that are damaged, you have an active health risk on your property. Do not attempt to clean up asbestos by yourself! 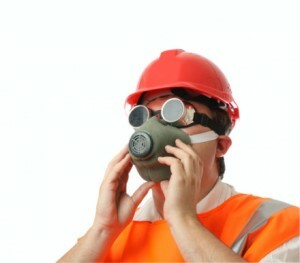 Instead, call the pros at AQHI Inc. for asbestos abatement in Anaheim Hills CA. We have multiple locations so we can dispatch a team from the location nearest you to provide fast service in the event of an emergency. Our asbestos removal office for Asbestos Certified Contractor in Anaheim Hills CA is open Monday through Friday between 8:00 AM and 5:00 PM and closed for lunch from noon to 1:00 PM. With advance notice, projects can be scheduled for weekends, early mornings and evenings.